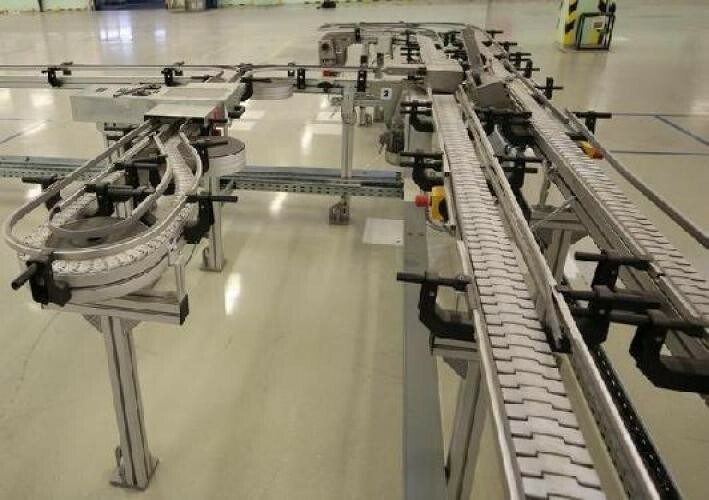 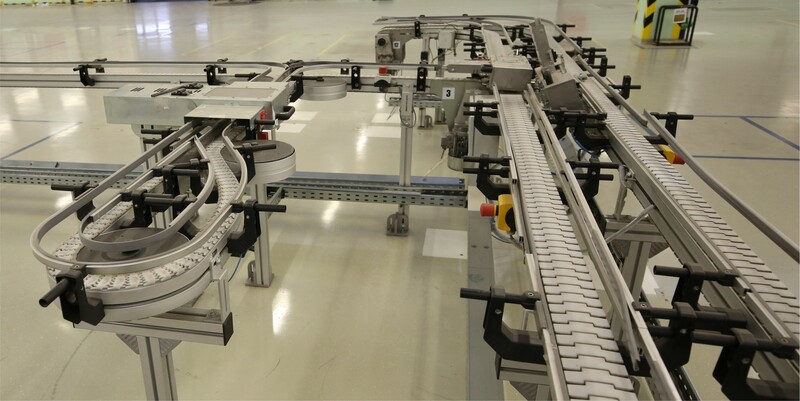 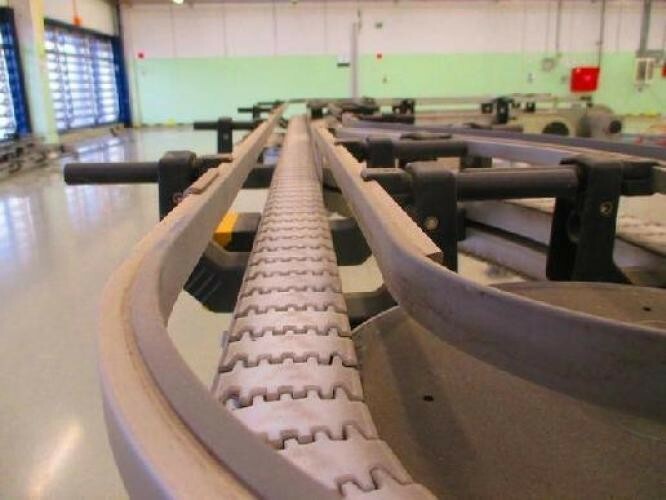 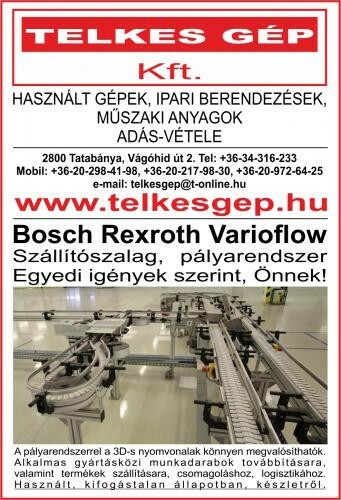 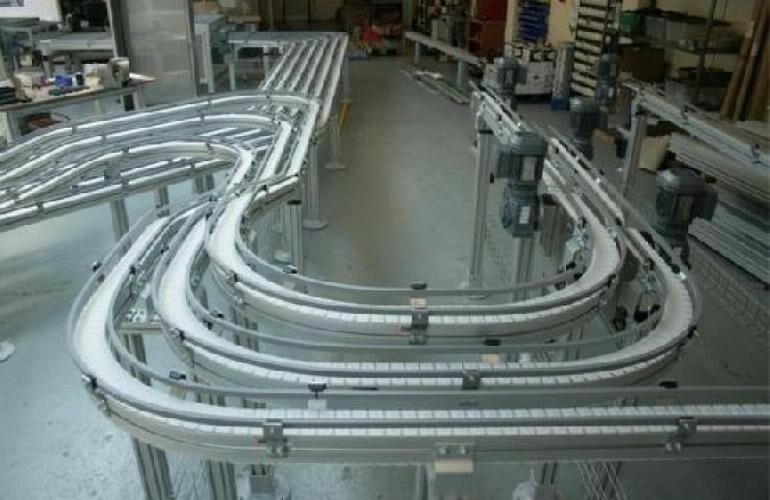 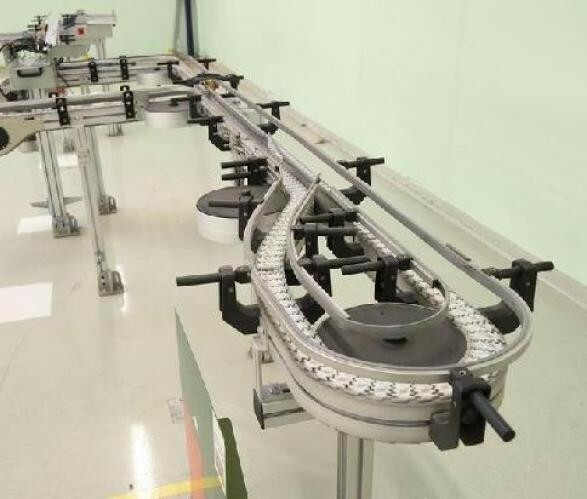 Rexroth VarioFlow court system of trails in 3D easily achieved. 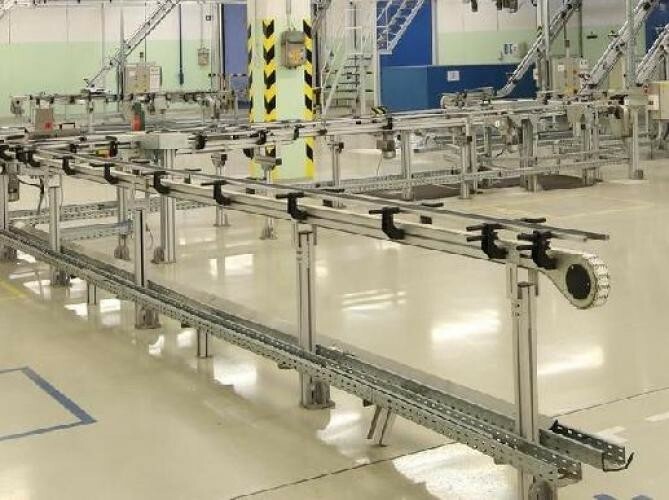 Conveyors, conveyor systems, material handling, product handling, industrial quality, noise-free . 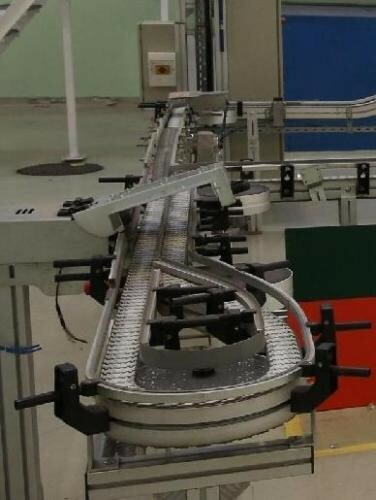 Suitable for in-process workpieces transmission and transportation, packaging, logistics products according to individual needs can be built and converted.